Enter a zip code to find WIC authorized stores within the selected radius of the zip code that accept your WIC checks. 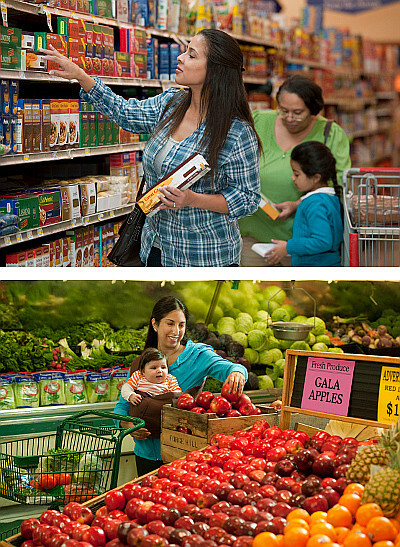 Select a county to find all WIC authorized stores within the selected county. If you enter a zip code AND select a county, all WIC authorized stores within the county will be found and distances to the store from the specified zip code will be listed. All WIC approved stores will have this red decal posted on their front door or window! Interested in Becoming a PA WIC Vendor? Any owner of a full line grocery store located in Pennsylvania may apply for authorization as a WIC vendor. WIC authorization does not transfer to a new owner when a change of ownership occurs. 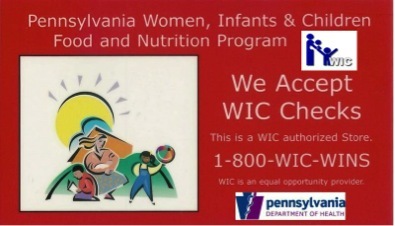 Vendors may not accept WIC checks until all application requirements are met, including completing an application and submitting any required supporting documentation; passing an authorization review; completing a training program and receiving an authorization letter from the Pennsylvania WIC Program. Submission of false information will result in denial of application. If you are interested in applying, go to the Pennsylvania WIC Vendor Assistant website to access the PA WIC Retail Store application and enrollment materials.